Simonton windows are a quality brand of energy efficient and affordable windows. Their focus tends to be on vinyl with a particular emphasis on vinyl replacement frames. Years ago, vinyl windows had a very poor reputation because the sash would expand or contract with changing temperatures, causing a poor fit with the glass and the walls of your home. This would lead to air leakage, or even cracking of the glass. Modern designs overcome this problem, so vinyl can be used without the negative effects. Simonton has been one of the main companies for over 60 years. Their company began as a small family business in 1946, and has been growing ever since. They sought to provide quality services and a quality product, and always focused on innovating their product lines. They have been producing energy efficient vinyl windows since the 1980s, so they have had plenty of time to create innovative features such as optimal energy efficiency, glass that is impact resistant, and improved beauty and design. Throughout their many years in business, they have always tried to run a very efficient and environmentally friendly manufacturing plant. In their primary West Virginia plant they use recycled vinyl to make their windows. Recycled vinyl is just as good as new vinyl, and has environmental benefits as well. Their products also have high energy efficiency ratings, which is helpful if you are trying to reduce the costs of heating or cooling your home. Over time, energy efficient windows will practically pay for themselves. Discover more replacement ratings. The cost of Simonton windows is right in the middle of the pricing spectrum. While prices can vary dramatically based on how complex or simple the project is, consumers can expect to pay $400 to $600 per window installed. This would cover a stadard sized double hung window – more on Simonton windows prices. There are many different styles, in just about any design or size you would need. Many are pre-built for quick ordering and installation by contractors. The selection of windows is large enough that you can find the perfect Simonton windows to fit your home perfectly. The primary material of many lines of Simonton replacement windows is PVC, a type of vinyl. Vinyl is an affordable and durable material. 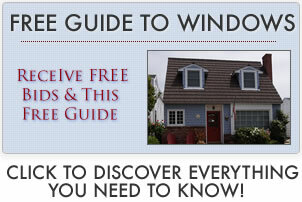 Explore more on vinyl windows price. These are a line of vinyl replacement doors and windows that you can find at just about any dealer nationwide. There are a wide range of features that meet many of your needs from energy efficiency, to durability. This is a high quality vinyl window line of replacement windows. These are best left to installation by a professional. The line has many different options to help you find an exact match for what you need. This is one of the most unique lines of Simonton replacements, and is only sold by a handful of suppliers. These are practically a custom line of replacement windows, and have several different quality ranges. If you need windows that can maintain optimal energy efficiency in an extreme climate, this is the perfect option. While not a type of replacement windows, this line is solely for new construction homes. There is a wide range of products, from cheap builder grade windows, to high end and top of the line windows with an amazing selection of features. These windows are truly designed to withstand whatever life or nature may hold. You don’t want to spend the money on replacement windows just to have a stray soccer ball or tree branch break the glass. These replacement windows have impact resistant glass that is designed to withstand storms and most moderate impacts. The windows are also feature straightened frames and other features to make them as stable as possible during a wide range of extreme weather conditions.